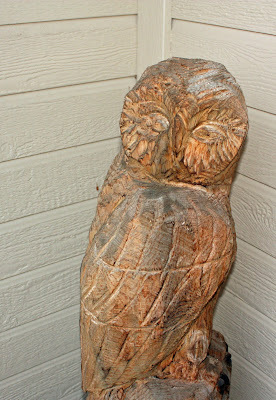 This is an owl carved out of a log with a chain saw. It was given to me as a gift for doing a civic duty project. He welcomes people in the entryway.